“God prepared me for this calling since I was a child,” says Joy Kauffman. Joy Kauffman had a passion for service long before she became a Seventh-day Adventist. Even though she was close to Adventists from day one — she was born in an Adventist hospital in the US — there was something beyond her decades as a Christian of another faith that seemed to prevent her from moving forward. She did not become a Seventh-day Adventist right away, however, not even when thanks to her husband’s connection to a Messianic group, the family began and kept observing the seventh-day Sabbath as the biblical day of rest. And she did not make a decision either when she stopped homeschooling her children and chose a Seventh-day Adventist school for them instead. Then she went to Africa. Thanks to her connections to yet another Christian faith, Kauffman, who holds a Master of Public Health and International Development from John Hopkins University, visited Zimbabwe and Uganda, where she got involved in agricultural and orphans’ assistance projects. 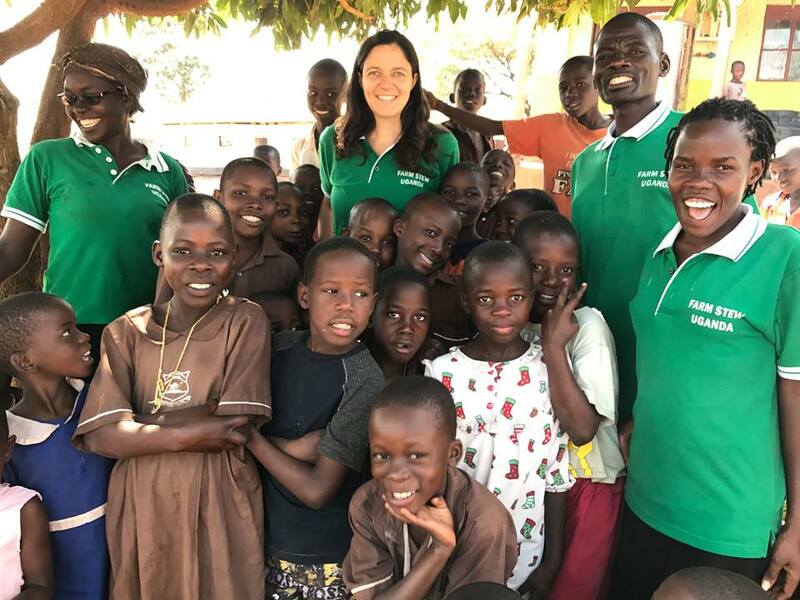 When visiting Eastern Uganda, she was impressed by both the extent of the needs and the faithfulness of a group of Seventh-day Adventists who shared her passion for helping the poor. Around the time of her baptism, Kauffman launched a supporting ministry that she called FARM STEW, based on an acronym on eight elements that she considers “A recipe for healthy living”—Farming, Attitude, Rest, Meals, Sanitation, Temperance, Enterprise, and Water. The new ministry seemed to come into existence at the right time. 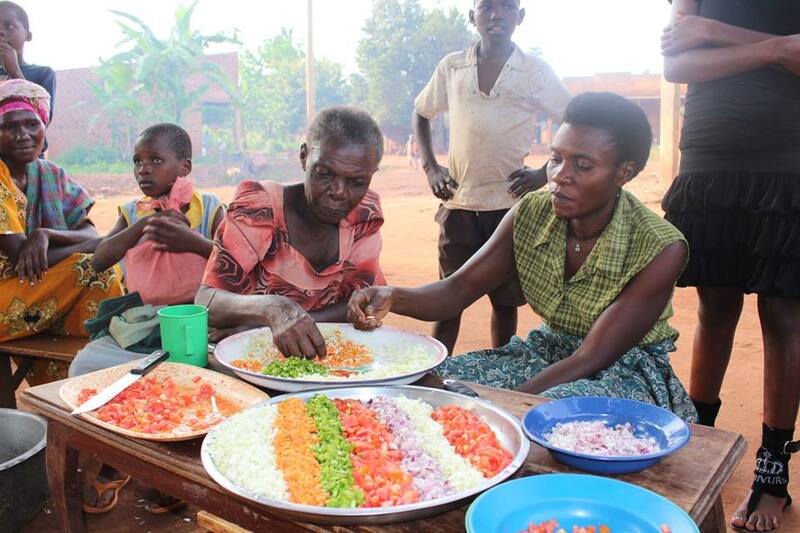 Kauffman and her Ugandan assistants moved fast to teach them how to incorporate soybeans in their diet, in ways that were tasty and healthy, while providing them opportunities to start small businesses. 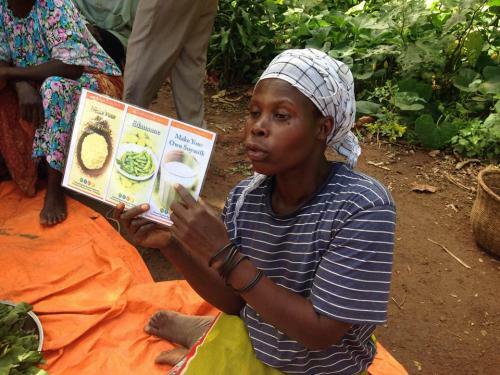 Other health-enhancing activities the ministry implemented include teaching rural villagers to grow vegetable gardens and manufacture their own soap. Despite her initial success, it did not take long for Kauffman to become aware of the challenges ahead. She saw that the needs in the region were so dire that the usual model of stopping by a place and teaching people what she knew would never get the job done. In need of a team effort, she soon began applying the “train the trainer” model. The new trainees were eventually ready to train many more, now with the assistance of a special training package with materials especially developed for the program. Lately, the Ugandan team of trainers has been invited to share the program in prisons, hospitals, and mosques across the region. “There’s so much we can do if we make an effort,” says Kauffman. Overall, Farm Stew, which is funded by the private contributions of church members and supporters, has already trained over 28,000 people living in rural isolated villages about the principles of healthy living. “We also keep good records, so [volunteers] can go back to the same villages to assess the impact that we have had,” she says. Both inside and outside the Adventist Church organization, experts in development ministries are taking note of Farm Stew. One of them is Outpost Centers International (OCI) field vice president for Africa Kim Busl, a man with decades of experience in similar ministries. 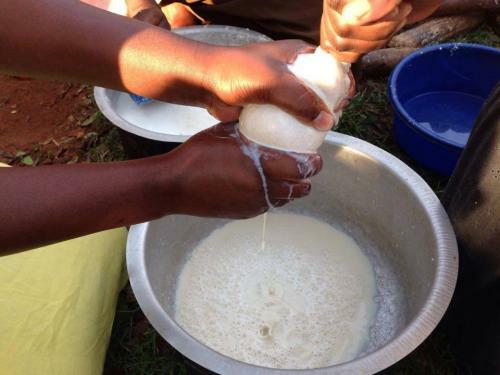 Busl shared his experience after witnessing one of Farm Stew’s training sessions. “Every one of [the coordinators] is interesting, animated and knowledgeable. They interact and engage the people in a way I have not seen before. It was a first-class presentation,” he wrote. Recently, the ministry branched out to Zimbabwe, where a team of volunteers have trained the first 115 people. They also began to work in Northern Uganda, assisting hundreds of refugees arriving from South Sudan, and there are plans to launch the program in Ethiopia. The possibilities, believes Kauffman, are endless. 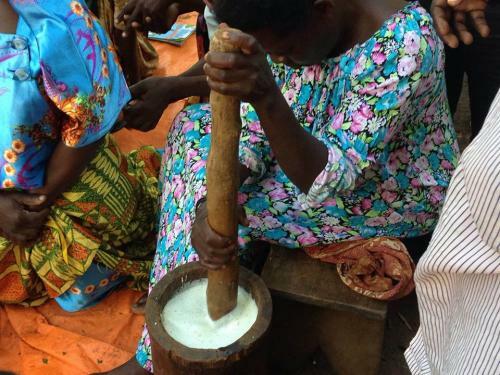 Despite the ministry’s ongoing success, however, Kauffman believes that the ultimate goal of Farm Stew is to give people skills that allow them to have an abundant life. According to her, however, enjoying a fulfilled and happy life implies much more than soy protein at mealtimes. As a result, Kauffman says she feels useful and fulfilled by being in the right place at the right time.